This is the last of my new patterns…then I’ll blog about something else I promise! :) This was a quick-finish-quilt that I made with some of my Denyse Schmidt stash. Her lines Florence and Chicopee blend so well together! It’s a bit out of my color-comfort zone…it’s kind of a crazy combo but it works when it’s all said and done. This one is also in my pattern shop and is starting to pop up in quilt shops! 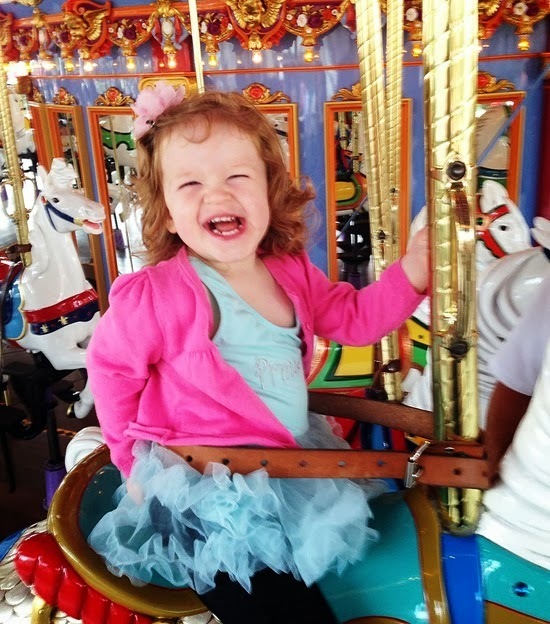 We surprised our kids and went to Disneyland last week…the weather was warm and the lines were short…it was perfect. Exhausting…and perfect. You have such a talent for putting together fabric prints and colors. 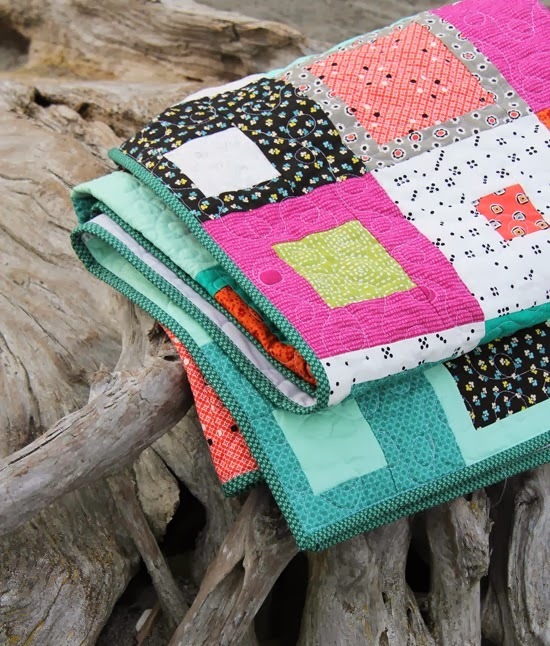 Your quilts are all so eye catching and beautiful. 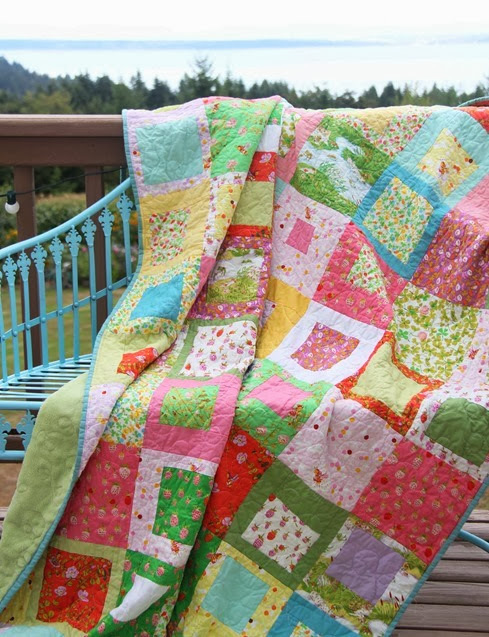 I love the colors and the quilt! I love that new pattern. I pinned it last week, when I was checking out the other new ones. The fabrics are so cute together and it shows it pays to go a little out of your comfort zone. Love the results!! This is the exact pattern I have been searching for! I can't wait to make it! Love love love this!! 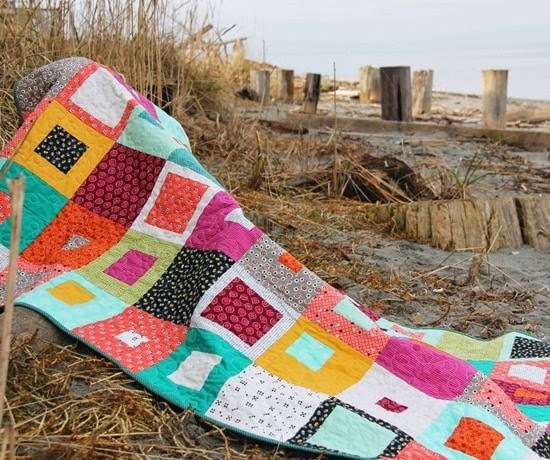 I never get sick of seeing your new quilt patterns, I love them all!! I love the colors. You are right, they do all work together. I've made several of your skipping squares quilts. This looks like a great pattern. 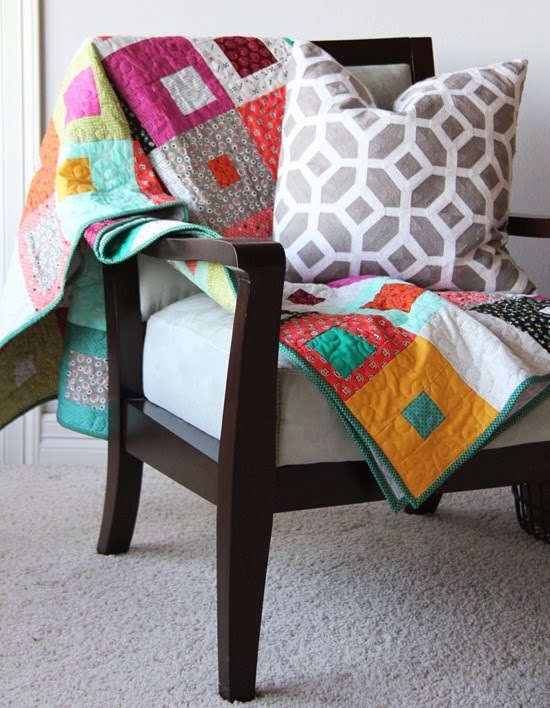 Beautiful quilt, great job and awesome inspiration! I love this quilt. Thanks for sharing. I have the perfect fabric for this. I'll be adding the pattern toh birthday wishlist. I love this quilt, I am just about finished with my first quilt ever! 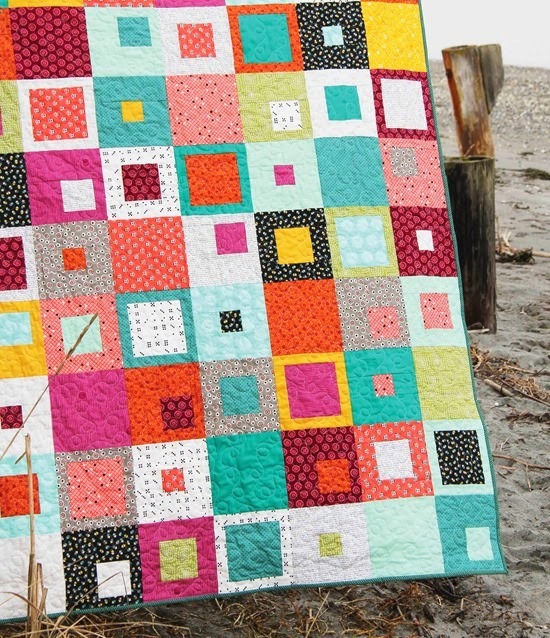 Can't wait to take it to the quilter:) I might make this one my next quilt…Love your post. What a wonderful pattern! I love all of the different blocks put together. I am always so drawn to your patterns…love this! I like that it has many size choices…My Juicebox pattern doesn't have larger quilt sizes if I remember correctly. The this Tango quilt. And the colors are bright and beautiful! Qué gracioso! Me encanta, tomo nota a ver si me sale tan bonito. So many colors! I love it!!! Is it possible to make it with scraps? This colors are really a little bit different than the colors you always use, but ist not soooo crazy! It´s funny! I love this crazy colour combo, it's so full of energy. Beautiful beach photos, too. 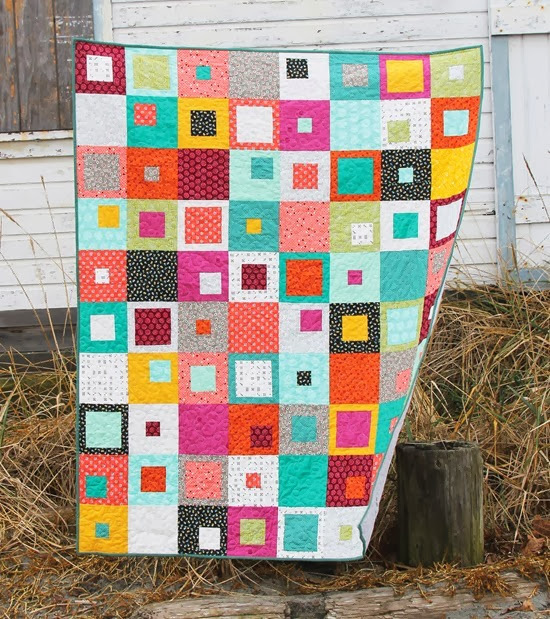 I love this quilt and all of the crazy colors! So cute!